Tephra is a coffee table created from layers of native Ash which are shaped into a fluid, organic form. The layers of ash are representative of their volcanic namesake, laid down repeatedly during recurrent eruptions. As time passes these layers are broken down, eroded and reshaped by nature’s elements. Slowly the shape evolves, becomes more rounded and in some instances undermined to such a degree that its appearance becomes balance defying. 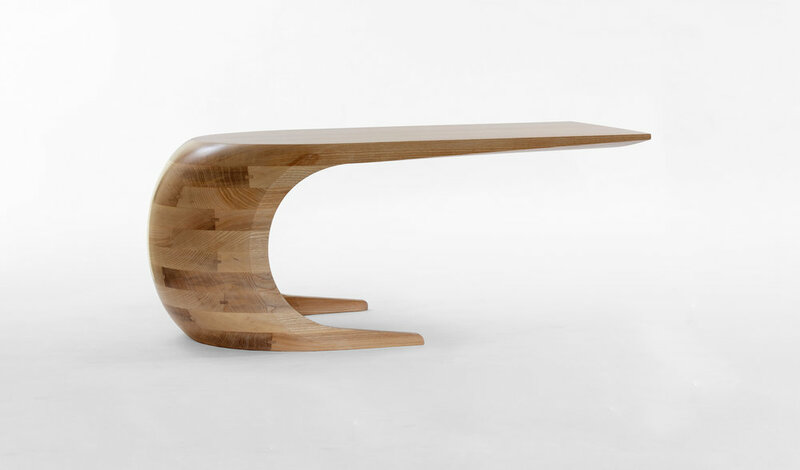 The table aims to reflect this natural occurrence not only in its flowing shape and structural make-up but also in its process of manufacture. 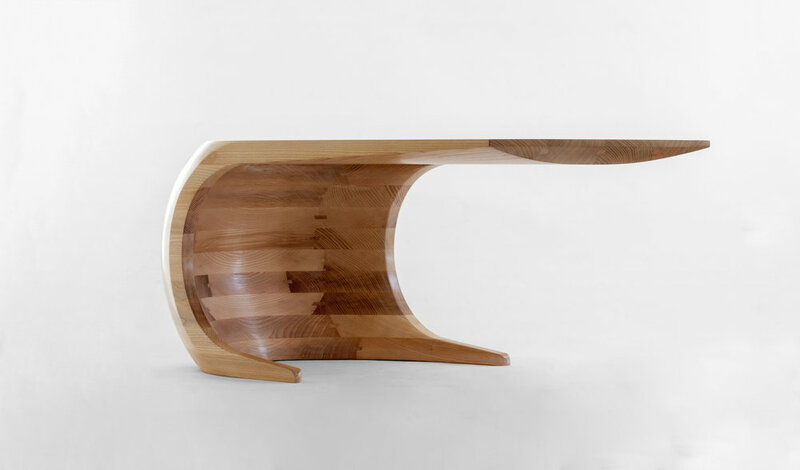 The removal of material, layer by layer, little by little over time allows the table’s shape to form into a singular, flowing and smooth structure. The blocks of Ash from which the table is constructed are joined together with Ash splines. These splines are visible throughout illustrating the jointing technique and each one varies in shape depending on the angle it has been truncated at.